Andrew David “Bud” Jorgensen was called home to be with his Lord and Savior on October 30, 2018. Bud was born February 18, 1929 along with twin brother, Garrett Frank, to Thomas K. and Anna K. (Graft) Jorgensen on the homestead south of Van Metre, SD. Bud had eight siblings. They were raised on the homestead and survived the Great Depression by raising poultry, cattle, vegetables, and sold cream and butter. Bud attended Immanuel Lutheran Church in the country and East Harrington Township Country School thru the 8th grade. In 1943 Bud, his mother and twin brother Gary moved to Murdo where the twins attended Murdo High School, graduating in 1947. Bud and Gary at the age of 11 started working for ranchers breaking saddle horses for riding and draft horses for team horses. During and after high school, Bud worked for many farmers and ranchers in the area, milking cows and delivering milk and cream. Bud was drafted into the U.S. Army on October 12, 1950 and was on a ship on his way to the Korean War by January 1951. During his time in Korea he was wounded three different times. The first occurred when a grenade rolled toward him; being the top football punter in high school, he was able to kick it 65 feet in the air where it exploded, and he sustained injuries. The second occurred in June 1951 when he was shot through the right chest. He was transported to the hospital in Japan where he spent 3 months recovering. The third occurred when he was shot in the elbow. Bud was honorably discharged from the Army on July 19, 1952. He received the Korean Service Medal, Bronze Camp Stars, UN Service Medal and a Purple Heart. After returning to Murdo, Bud met Elenor Mannhalter and they were married December 27, 1953 in Pierre, SD. Bud and Elenor along with the help of Gary built a home in Murdo, SD. Bud worked for Texaco bulk gas until he was injured in a tanker accident receiving severe burns. He then went to work for Francis Plumbing Heating and Electrical who contracted many jobs with the Corps Engineers and BIA. During their time living in Murdo they were blessed with 3 beautiful daughters Sandra Lee, LuAnn, and Kathy Lynne. In 1961 Bud joined the Department of Defense at the AF Radar base in Gettysburg, SD with a contractor’s license, journeyman electric license, master plumber license and skills in heating, air conditioning, exterior utilities and water well drilling. He moved the family to Gettysburg in August 1961. 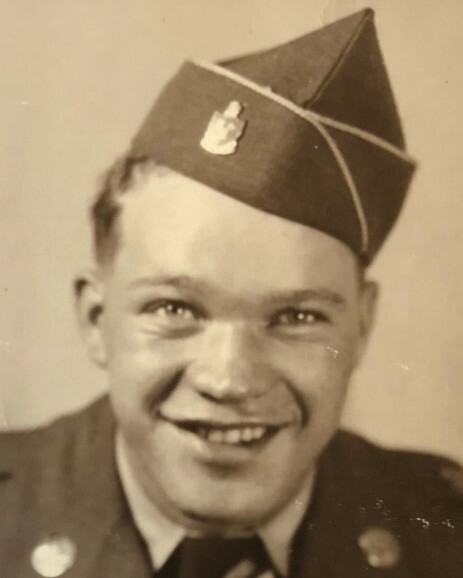 Bud trained several airmen in heating and equipment repairs and taught many airmen in electrical and water treatment. Bud was very involved in the American Legion and VFW. He served as commander for the VFW and American Legion Post. He worked side jobs for a house building contractor doing electrical, plumbing and heating. In 1968 the Radar site in Gettysburg closed and Bud was transferred to Ellsworth Airforce Base in Rapid City, SD where the family moved in November 1968. As the girls graduated high school and ended up in Colorado, he transferred to Fitzsimons Army Medical Center in July 1979 and Bud and Elenor moved to Aurora, Colorado to be closer to their family. In 1991 Bud retired from Fitzsimons and in 1992 he and Elenor moved to Loveland, CO. 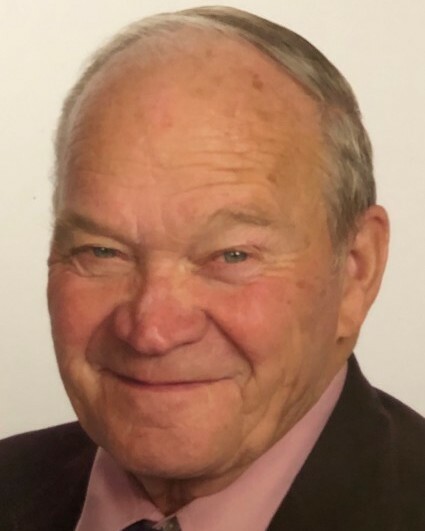 Bud was very active at Immanuel Lutheran church as an Elder and maintenance person and very involved in helping with the building of the new Immanuel Lutheran church and school when the church moved from Hilltop Drive in Loveland to Sunview Drive. He had a great loving heart for the Lord and lived a humble life. He was always there to help anyone. Bud is survived by his wife Elenor (Mannhalter); daughters Sandra Martin (Rich), LuAnn Lacey and Kathy Hoyland (Ken); 6 grandchildren Angie Windholz (Mark), April Hoyland (Ruben Caro), Jennafer Hoyland (Kenton Ells), Joshua Lacey (Mandy), Scott Martin (Jessica) and Victoria Martin; 10 great grandchildren Zayne Hoyland, Anthony Lacey, Makayla Windholz, Zoie Hoyland, Emma Lacey, Ruben Caro III, Alyssa Windholz, Haydin Ells, Makenna Windholz and Mason Ells; sisters-in-law Ople Jorgensen of Worland, WY, Janice Trygstad of Oklahoma City, OK and Karla Mannhalter of Murdo, SD; and many nieces, nephews and friends. He is preceded in death by his parents Thomas and Anna, brothers Louis (Tex), Leonard, Walter and twin brother Gary; sisters Blanche, Lauriena, Bergetta and Kathryn. Memorial services with Military Honors will be held at Mount Olive Lutheran Church in Loveland, CO on Monday, November 12, 2018 at 10:00 A.M. with reception following. In lieu of flowers, contributions may be made to Mount Olive Lutheran Church in Loveland, CO.